This could either turn out very well, or very bad… the ball’s in Sony/Microsoft’s court. Sadly, another possibility is that Microsoft or Sony will purchase the patent and then not use it. Companies have been known to buy technology with no intention of using it, just to prevent it from becoming competition. Aside from that, though, it seems inevitable that MS and Sony will eventually have to compete with that service or a similar one. So either the execs will willfully deny reality, as sometimes happens, or they’ll figure out a way to fit it into their console plans. However that’s done, I expect it would mean a shift of emphasis toward software. I doubt this spells doom for separate consoles, though. Look at PCs and Macs, cellphones, iPhones and Blackberrys, iPods and Zunes… hell, look at cars! Competing hardware often offer the same essential features, but the hardware competition remains viable due to brand loyalty, aesthetics, etc. We’ll always have competing consoles. Hey Geoff, I recently wrote about this topic myself. 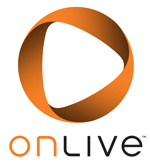 OnLive seems like a great innovation in games but I don’t think it will catch on thanks to corporate behemoths that refuse to give up on their profits. Microsoft and Sony’s participation in this new wave is what will ultimately make it work or fail. This is going to make an awesome tech demo in a controlled environment. But with the realities of broadband latency out in the real world, only a tiny fraction of potential customers will have the performance and latency necessary to make OnLive a good experience. Someday Perlman and Ellison will be sitting in a retirement home, discussing the cloud computing/gaming future that never came to be. If this gets as much hype as possible even before the beta starts it really could be a revolution, yet i dont think that big companies like Activision Blizzard will jump on the train. They would rather invent their own service, same for Sony and Nintendo. I dont think Sony would give up on Blu-ray games, not in this generation. And if Nintedo stays on their kid-oriented console strategy, theres no way they would be part of all this. And about pirating, the only possibility for a company to prevent pirating with this method would be to release the games 100% on OnLive, no retailers. This also is a huge problem when you consider world wide distribution. If this works though, im all for it. This could be exactly what MS or Sony would like to purchase. They both lose shed loads of money on consoles, with this they wouldn’t need to. The whole game being stored in the “Cloud” with a cheap input/output box sold with a controller. It could be great but i feel it needs a big name behind it to make it work! If I were Sony or Microsoft, I’d try to make the technology work without the need for a PC. When they do, this thing has limitless potential.